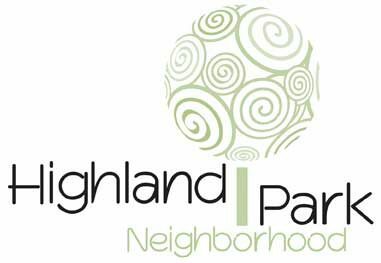 Highland Park Neighborhood Association – Welcome to the "Finest and Healthiest Part of the City"! Welcome to the "Finest and Healthiest Part of the City"! This is what the Ellwanger & Barry Company called our area while building many of our homes and streets in the early 1900’s. It’s our opinion that this still holds true today! This part of Rochester, NY was known as The Ellwanger & Barry Neighborhood until 2007 when the name was changed to The Highland Park Neighborhood. Our family friendly neighborhood, adjacent to the South Wedge neighborhood, is a vibrant and walk-able area with lots of local businesses and restaurants to enjoy. Our neighborhood is home to people of all ages and we pride ourselves on our inclusiveness. There are many community minded people living here that often come together to support local causes and to celebrate city living by organizing a variety of fun activities for all to enjoy. Highland Park is our southern border and was designed by famed landscape architect, Frederick Law Olmsted (one of the designers of Central Park in New York City). This park is an amazing, year-round recreational area where our residents can play, relax, and appreciate nature. The wildly popular Lilac Festival is held in the park each year and is a festival that has been a part of our city’s history since 1898. Friendly neighbors, beautiful homes, great restaurants/businesses nearby, and walk-able are just a few of the good reasons why The Highland Park Neighborhood thrives in Rochester, NY and can still be declared the “Finest and Healthiest Part of the City”!